If you’re like me, you’ve probably seen your social media feeds explode in recent years with pictures and status updates from friends who have discovered the upsides of running. Some people run for the health benefits; others do it to raise money and awareness for a cause. All of them work hard. And they all love swag. No matter what kinds of giveaways or merchandise is used to promote a race, the participants love showing it off. It’s a way of showing off their accomplishments. The best marathon and race organizers know this, which is why they strive to make sure that their promotional materials and marketing techniques all stand out from the others (and given how many marathons take place in the U.S. each summer, there are a lot of others!). You’ve probably heard of some of the biggest competitions: IronMan, the Race for the Cure, the Biggest Loser RunWalk, and the Color Run. Why? Because their organizers know how to market them! And their organizers know how to use promotional merchandise and giveaways to attract participants and build their brands. IronMan is arguably the monster of all competitions and marathons because of the endurance it demands. No matter where in the world each IronMan race is held, the course is broken down the same way: a 2.4-mile swim, a 112-mile bike ride, and a 26.2-mile run. No wonder people who finish it want items that let them brag about it. A medal, you say? Oh, yes. As Duke describes, each IronMan race brands itself by designing and giving finishers a medal particular to that race’s flavor or theme. 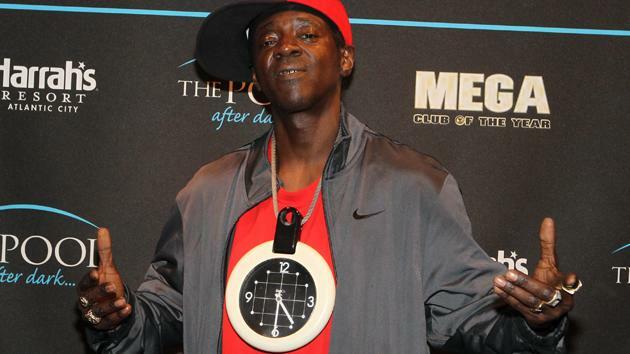 Believe it or not, there’s a Rock and Roll –themed IronMan that provides a medal in the style of rapper Flavor Flav’s clock medallion. Giveaways like medals and t-shirts (and more permanent marks like tattoos) aren’t the only ways that races like IronMan can promote themselves. Duke actually sees the IronMan race as one of the main products that World Triathlon Corporation offers. The other is the IronMan-branded workout gear and other merchandise that the company sells. Of course, running can be about more than becoming the best athlete you can be. While you might not have known that fact, you’ve surely seen the pink awareness ribbons and other merchandise that organizations supporting breast cancer awareness like the Komen Foundation use to promote the cause. This is part of the keen marketing that the Komen Foundation uses—and it’s most apparent when it comes to the t-shirts that each Race for the Cure participant receives. Consistent branding is part of what makes them such great marketing materials. “The last few years we have had people vote on their favorite design, and the nation chooses the design for the year, “Tybon explains. “This design and theme is carried out consistently across all locations each year. “However, where we can get unique is our local theme and taglines,” she continues. “This year we are using the Chicago skyline in our marketing and event materials.” Altogether, the two-fold approach creates a sense of community that covers a span not only of geography but of time. “Some people have ten or fifteen shirts they have saved from every year they ran or walked,” she says. But what about the swag bag—the tote bag full of water bottles and bracelets that race participants look forward to? “The purpose of the race is to raise as much money as possible for research, and it is critical we do not spend on promotional materials.” Tybon informs us. “We rely on our sponsors to help with that and not every participant gets a bag. Survivors get a bag every year… We also give a small bag to participants that pick up their packets ahead of time. “The survivor tent is specifically for survivors, and after the race they can go and meet other survivors and get their bag… for survivors it is not about the bag, it is the community,” says Tybon. And communities can be built around all kinds of goals. Even if you don’t watch tons of television, you’ve probably heard of The Biggest Loser, one of the most popular fitness reality TV shows in recent times. But you might not have known that the show inspired a series of races! But do all those warm fuzzies mean that people who participate in the Biggest Loser RunWalk shouldn’t expect any swag? Heck, no. “Runners LOVE swag. End of story,” Morlock tells us. (She actually punctuates this comment with a smiley face, since it was a response to a written questionnaire, and we think that’s completely accurate for how much runners love swag). Yes, runners enjoy a distinct visual aesthetic to their race swag, as some organizers have discovered. That’s right. At checkpoints along the course, runners are sprayed with different blasts of color, so that by the time they reach the finish line, they look for all intents and purposes as if they would fit right into the world of My Little Pony (which is a compliment). There’s also a huge party at the end. Organizers of The Color Run offer participants plenty of swag, including headbands, temporary tattoos, and medals that are the same for all participants to help build that sense of community. Really, though, the best of the branding is done with that shirt that each runner wears. “What better [way] to take the happiness of race day home [than] in the form of a color-covered shirt you can wear with pride on your next run!” says Jamie Miller, the Public Relations Manager for The Color Run. So there you have it! Four different races that target four different groups of participants, all using a focused theme and some branded giveaways to get noticed. You can do the same for your event. And if you’re hoping to attract runners… you should probably offer t-shirts. Are you a runner? Have you participated in marathons, run/walks, triathlons, or any other kinds of races? Did you get any custom swag that you loved? Let us know in the comments below! Photos are courtesy of the individual race organizations. All rights reserved.